Whether you’re a business owner or in a management team, Enterprise Resource Planning(ERP) implementation might be one of the important decision you may be debating right now, when operation management in the organization is taken into account. 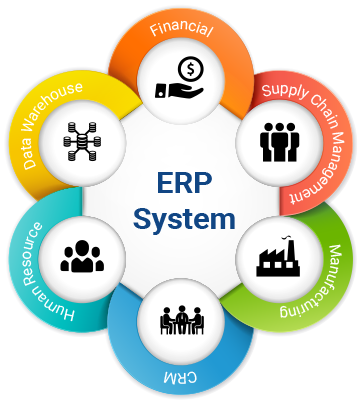 ERP systems are beneficial for your organization in several means., mainly because they aim at improving the decision making capability of the organization. At Webstrio Technologies, we provide effective ERP solutions to manage the business and to automate several back office functions related to services, technology and human resources. We integrate diverse facets of an operation, such as software planning, development, implementation, sales and marketing, and provide dedicated custom ERP solutions in a single database and user interface. Our ERP software applications are meant for smooth functioning of your business, by managing and collecting information from the core areas of the organization, to improve the effective decision making capability of the organization. We serve all important aspects of your business and improve business operations such as accounting, human resources, customer relationship management and much more. Among wide range of ERP service providers in the market, finding the right ERP solution that suits your business is difficult to dealt with. An effective ERP system provides a central repository for all information shared by diverse facets, and thereby managing and improving the data flow across the organization. For the last couple of years have unleashed new technology trends on ERP systems, they have emerged as an important aspect of the organization, offering management solutions and business intelligence, in a single unified package. Promotes Productivity: Webstrio Technologies ERP solutions create cost efficient and well organized organization by automating the manual business tasks and processes, that finally leads to increased productivity. Enhanced Business Visibility: Our ERP systems improve communication within all aspects of your business with effective integration of systems and processes. Analytical Decision Making: Webstrio Technologies Software solutions enable the business manager to quickly analyse the overall report and improve business performance hassle-free. Our dedicated team provide ERP solutions that suits smaller and larger businesses, along with customized services to analyze that data and to handle the upgrades. Small business ERP systems offer lightweight business management solutions customized for a specific business industry. ERP systems comprises of several enterprise software modules and the effective management of modules are necessary to meet the specific needs and technical capabilities of the organization. The common ERP modules include software planning, development, implementation, marketing, finance, and HR. Mobile ERP- Mobile ERP solutions provide real-time access on organization reports, dashboards and business processes, regardless of where you are. Cloud ERP- Considering the advancements in the cloud enterprise medium, we provide cloud ERP solutions that enables the data to be placed on the data cloud with advanced benefits. Social ERP- Adding social media packages to the ERP systems is on the rise nowadays, and as a result we encompass social ERP by integrating social media with ERP. 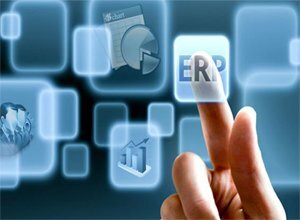 Two-tier ERP- Adopting two tiers of ERP has brought about a sustainable change in the ERP strategy. As a leading in creating ERP software solutions, Webstrio Technologies offer custom ERP software applications, tailored to meet the unique business needs of our clients. Specifically designed ERP systems are meant to simplify and streamline your complex business operations. With advanced business excellence and diverse tools for business processes, Webstrio Technologies works excellently to streamline business processes and creates well-organized businesses keeping them to stay ahead of their competitors. Specifically designed to cater the enterprise management needs, our fully scalable custom ERP solutions is one of the leading ERP software solution provider in the market.